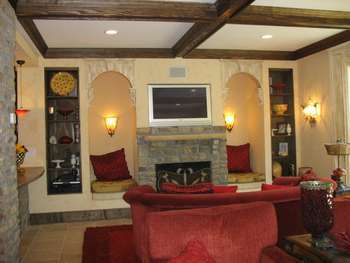 This model home is equipped with a fully integrated home audio system and a 42 inch plasma television. 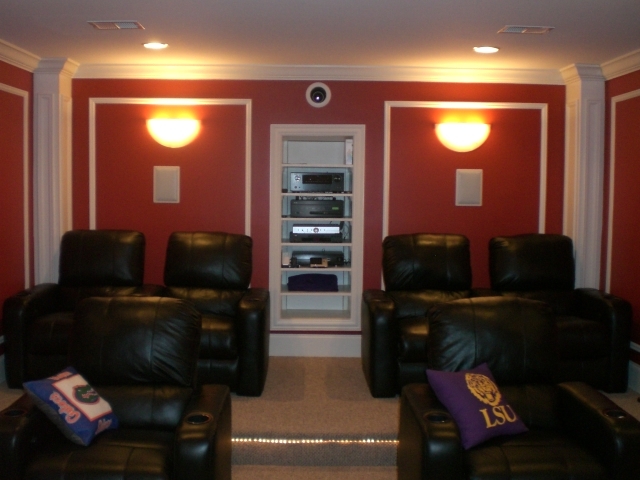 LSU fans' home theater featuring 92 inch screen, DLP projector, & HD gaming system. 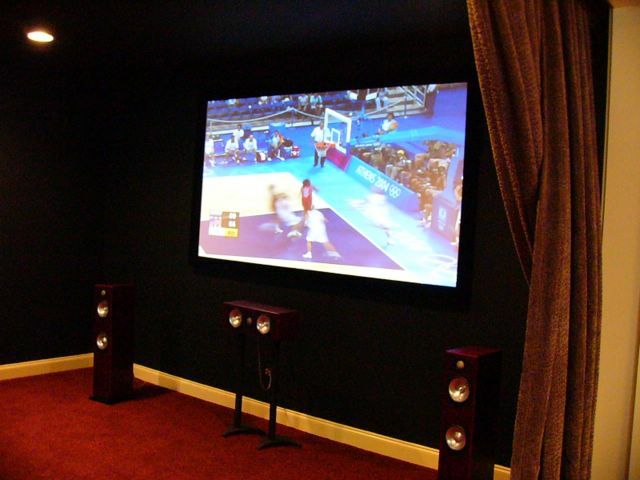 The customer really loves having football nights at his home! 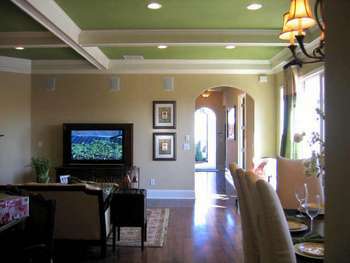 In this home we installed a custom sound system featuring 5.1 surround sound and volume controls and speakers in each room of the house. 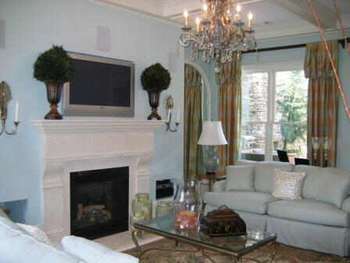 The 50 inch plasma in this room is mounted on a custom piece that can be ordered. 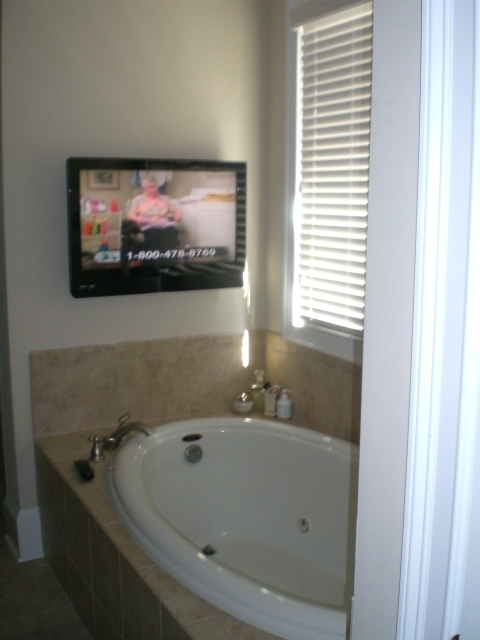 32 inch LCD television mounted in bathroom. 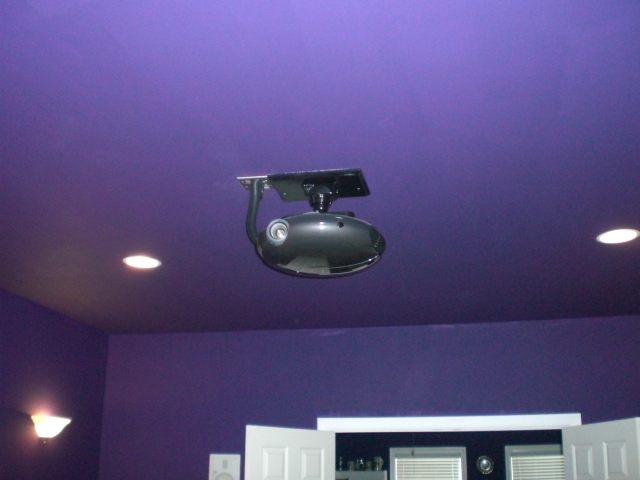 Perfect for those long bubble baths. 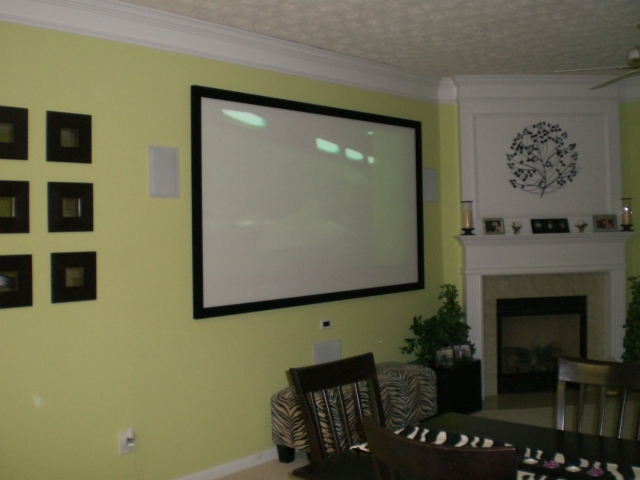 100 inch screen in modern town home. 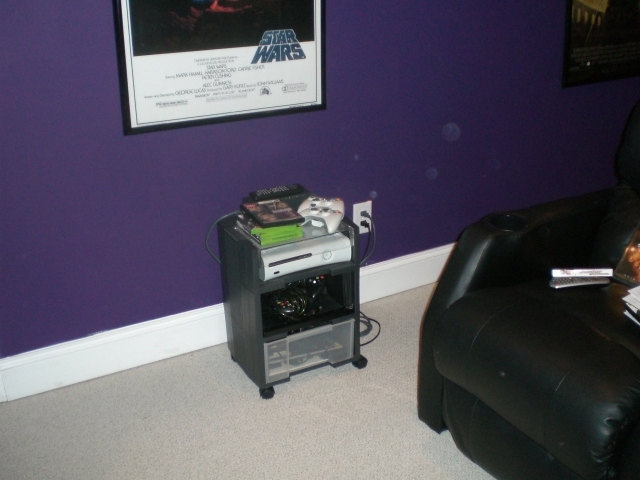 Makes the most of a smaller space! 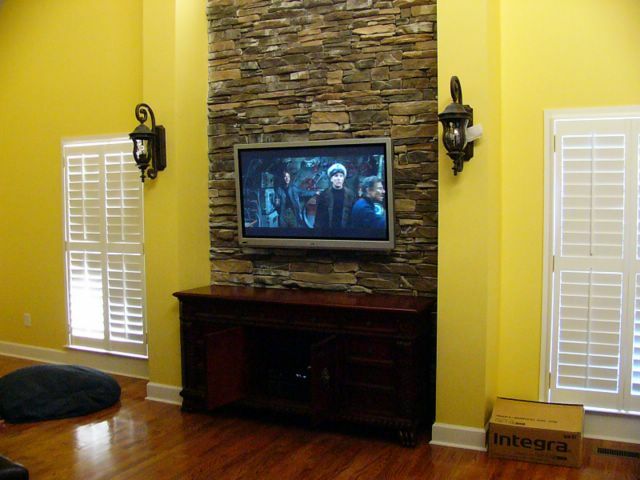 42 inch plasma mounted above the fireplace, seems to be the standard these days! 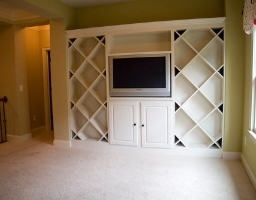 An example of custom cabinetry that can be ordered. 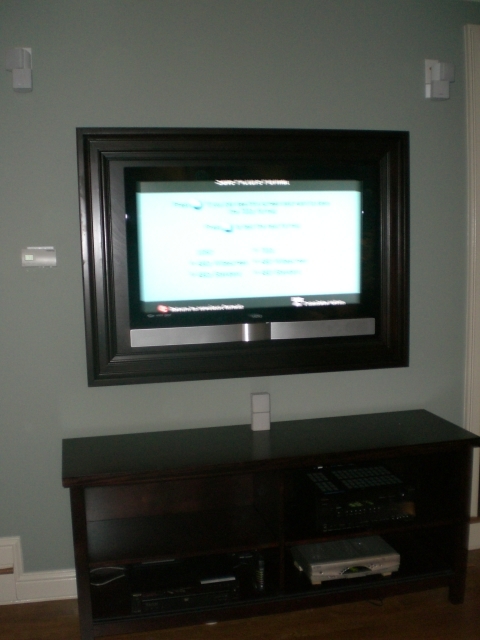 42 inch plasma that has been incorporated into a custom cabinetry system. 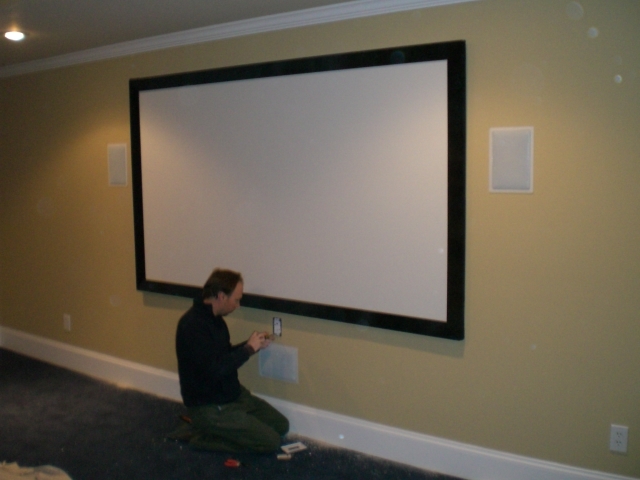 100 inch screen with 7.1 surround sound, looks and sounds great! 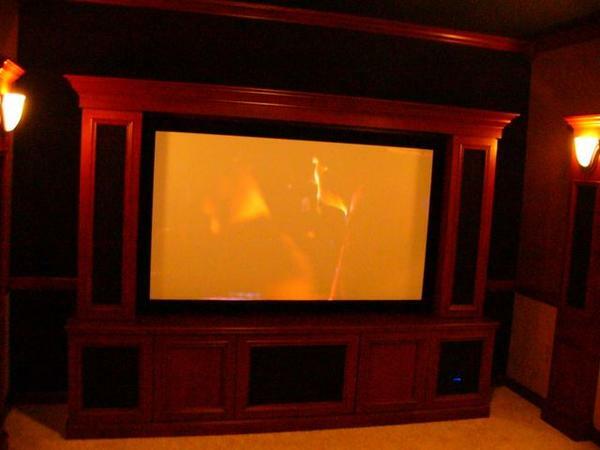 Theater chairs can be order through us also! 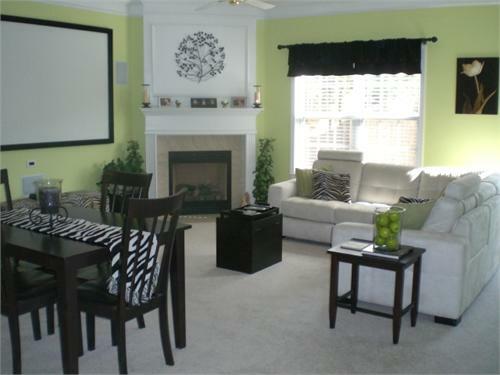 A sampling of our work!